What does ‘transforming’ aging really mean? Is it transforming the treatment of age-related disorders and extending physical life? Is it preventing age-related conditions and improving quality of life? A lot of people are asking these questions, especially those of us who are baby boomers as well as anyone concerned that the cost of health care will rise tremendously as baby boomers age. What I find is that many of us get lost in a focus on physical and mental aging and ignore what may be the biggest contributing factor to both: emotional aging. As a baby boomer myself, it’s hard not to think about aging when you look in the mirror and see more wrinkles or find yourself experiencing body aches and pains more often. Or you read about Alzheimer’s and wonder if you’re next when you can’t remember someone’s name as quickly or remember where you put something. Yet, our emotional landscape is often the key to how aging plays out for us ‑ in beauty, mental health, physical health, or in disease management. We often notice something different about people who have lived to 100 years old. There’s a certain something about their energy and attitude that impresses us. We might say, “What blew me away was her uplifting attitude and emotional balance and how she sees the brighter side of things.” Positive attitude and warm hearted feelings have a whole lot to do with how well we age. At any age, we can become adapted to chronic negative emotional states. Yet as we grow older, this can lead to emotional rigidity, blood vessel rigidity, alterations in brain chemistry, hormonal imbalances and increased inflammation. Inflammation is a hallmark of most chronic diseases, including diabetes, heart disease, cancer, and Alzheimer’s. Researchers recently presented evidence at the World Congress of Neurology in Vienna pointing to emotional stress as a trigger for the initial symptoms of dementia and the onset of Alzheimer’s disease. We don’t have to age from the emotional drain that worries and anxieties create. Scientists have found that we can activate our “heart intelligence” to transform our emotional state in the moment. We can learn to harness the power of our heart to generate positive attitudes and feelings that gives us broader thinking capacities and release old hurts, blames and judgments that we have adapted to and become emotional habits. Heart rate variability (HRV) is a powerful biometric that reflects our heart-brain interactions, the health of our autonomic nervous system (which controls 90% of our body’s functions) and our mental and emotional flexibility. Low HRV is associated with accelerated aging and all-cause mortality. Regardless of our age, we can learn to increase our HRV with powerful yet simple scientifically researched heart-based tools* that activate our heart intelligence – empowering us to regulate our emotions, increase our joy and improve our neuro-chemical balance. Nature has a habit of keeping everything in balance. The hormone DHEA (called the anti-aging hormone) is increased by generating positive emotions of love, care, compassion, forgiveness and appreciation. DHEA also helps to create those same uplifting feelings while it’s running through your bloodstream. So DHEA helps create positive mood and positive mood helps create more DHEA in a virtuous cycle. DHEA has also been shown to decrease cortisol (called the stress hormone), while enhancing vitality. You don’t get these effects with a pill. Changing your DHEA/ cortisol ratio is an inside job that happens naturally as people learn to manage their emotions from the heart and live more from the heart. That’s heart intelligence and it transforms aging. 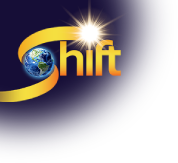 As a faculty member with The Shift Network, Deborah Rozman will be offering a course on Activating Your Heart’s Intelligence in March 2015. (To learn more, click here.) Deborah Rozman, Ph.D is a psychologist and CEO of HeartMath Inc. She is co-author with HeartMath founder Doc Childre of the HeartMath book series Transforming Stress, Transforming Anger, Transforming Anxiety and Transforming Depression (New Harbinger Publications).